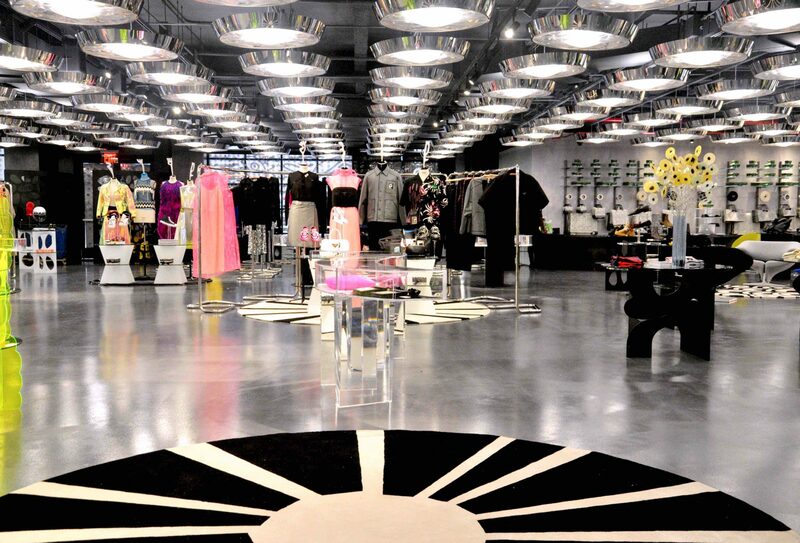 Carla Sozzani’s legendary 10 Corso Como reminds us why shopping IRL is still very much a thing. 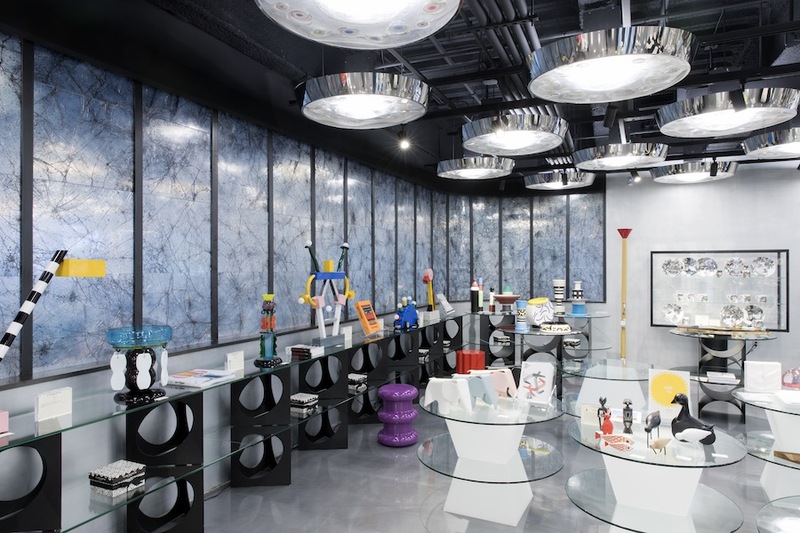 It was nearly 30 years ago when 10 Corso Como opened at its eponymous Milan address and, according to its founder Carla Sozzani, birthed the very notion of a concept shop. 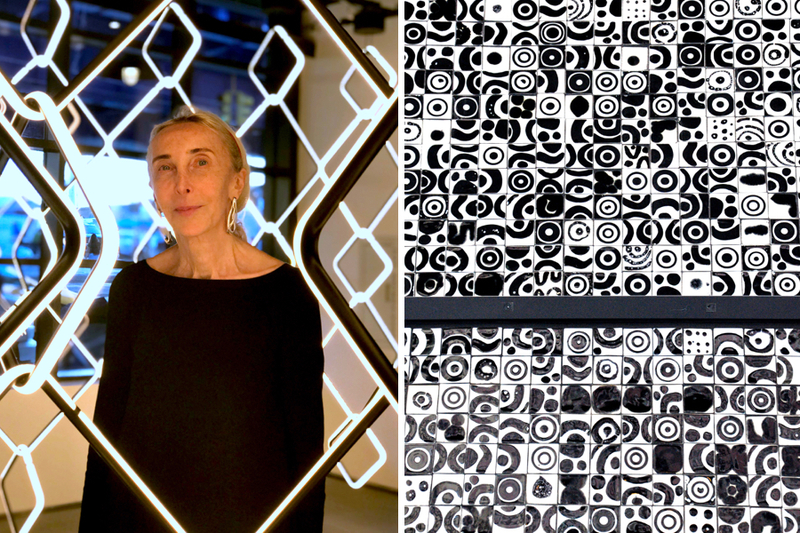 Maybe that’s why, on the eve of celebrating its North American debut at New York City’s South Street Seaport district, she and her partner, the artist Kris Ruhs, weren’t preoccupied with the goods for sale. Sozzani, now 71 and sporting fine platinum locks, spent the afternoon holding court in the spacious retail floor, fussing over the best way to plate skewers of tomato and mozzarella, while a joyful and filthy Ruhs tended to a tank of spiral-eyed wire sea creatures, his final installation to complement the shop’s café. “My idea was never to be obsessed with what is in, and what is out. I like timeless,” she says. Her philosophy explains why the designer collaborations she releases are not always at the pace of industry trends. She’d rather contemplate drawings Ruhs offers her, and wait until the mood strikes to match them with the right product. 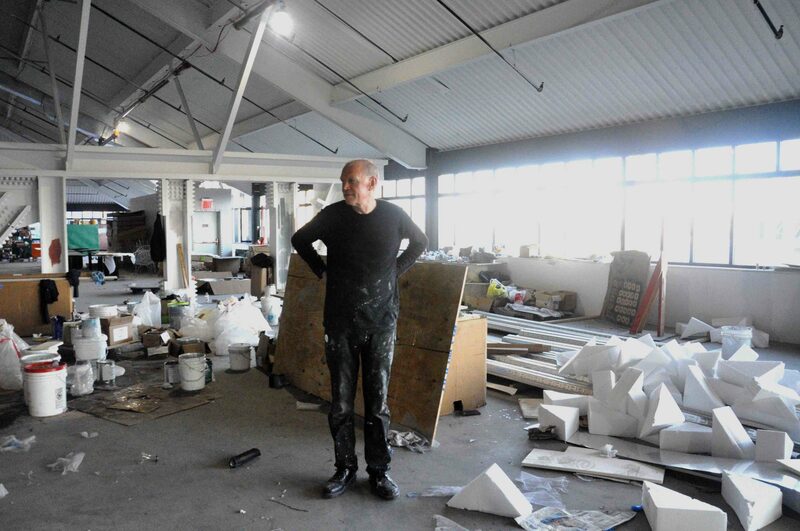 Beyond the merchandise, Ruhs and his Milan studios are responsible for every scribbled and drizzled café table, every hand-painted lighting fixture, and every blown-glass curtain and flower; much of the finishing touches done in his makeshift upstairs studio—an industrial wasteland of paint rollers, shattered mirrors, and deliveries of Aperol for opening night. It’s within the black-and-white landscape Ruhs created that Sozzani’s curation glimmers, with Prada and Alaia pop-up shops, a wall of perky Memphis Group lamps, and a corner light installation by the artist Michael Anastassiades for FlOS that wouldn’t be out of place at Museo del Novocento. Beyond it lies the entrance to the the shop gallery’s first exhibition, “Helmut Newton: Private Property.” “Right now I have an exhibition at the Helmut Newton Foundation of my collection, so it’s a swap,” Sozzani says. Across the floor is 10 Corso Como Café, a day-to-night dining room offering seafood and aperitivo fare, helmed by a veteran of Sant Ambroeus. The café has become a staple of concept shops today because of Sozzani. 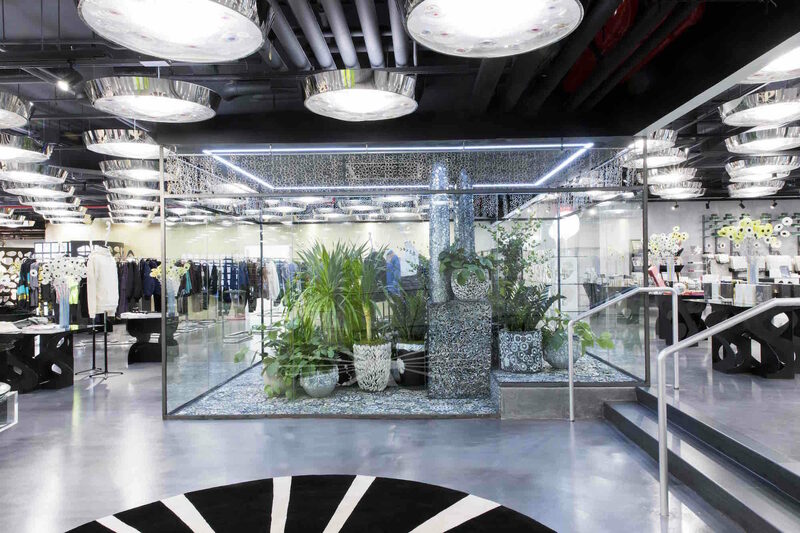 Colette had its Water Bar, Dover Street Market has its partnership with Paris’s Rose Bakery, and that mimicry is a reminder that they followed her trends, and not the other way around. So for those in need of a new lighter, or a $275 Alaia T-shirt, they will be here when the store opens to the public tomorrow morning. But take your time—there’s no need to rush. Mon.–Sat. : 11 p.m.–7 p.m.; Sun. 12 p.m.–6 p.m.